When my kids get back from trick-or-treating, you can bet they will have countless candy bars of a variety that they never choose to consume on their own. For my money, the worst of these is the Charleston Chew. 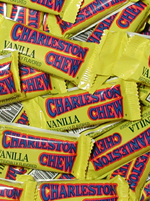 While Tootsie Roll Industries Inc., the company that makes this confectionary abomination, produces many delights and is a model American business, their Charleston Chew is a crime against dentistry. I have never willingly purchased a Charleston Chew, and I’m not aware of ever observing anyone buying one for their own consumption. But rest assured, folks across America will be shoveling them into trick-or-treaters’ bags. Perhaps, you might say, it is just that people are taking the opportunity that Halloween offers to dispose of a menace. Rather than consume the Chews themselves, individuals foist them on unsuspecting youngsters. This is a clear case of moral hazard, where the dispensers of candy treats do not bear the full cost of their decision to dispense the tasty Chew during Halloween, namely the impact on the dental bills of the consuming children’s parents. But this report reveals another trend we find to be compelling, and a potentially delicious investing opportunity — the perpetual undervaluing of the Charleston Chew candy bar. Despite this, Kevin Hasset heaps scorn upon the Charleston Chew, scorn which would have been unthinkable in CC’s heyday. How will the Halloween market react to the Chew? And how does one properly play the Chew? Recommendation: This apparent dip in CC’s popularity without any corresponding dip in the core value of its assets are combining with temporarily distorted market forces (halloween, moral hazard) as an opportunity to pick up Charleston Chews on the cheap. Currently trading at 0.46 Snickers, we think CC is a great value at these levels, and we recommend accumulating CC at these levels. See our related report on Candy Asset Exchange Rates. How to play the CC? Go Long the dentist. Dividend returns are looking good. It’s always fun to read these things, I have been following this blog for long time now, I always find it interesting reading it all. I mainly do Forex trading and that’s easy to do with following this blog, as there is so much that we can learn about. I trade with OctaFX broker where I get plenty of benefit with low spreads from 0.1 pips to high leverage up to 1.500 plus there is also 50% bonus on deposit which is use able, it works nicely!